يشكل Rydges St Kilda بموقعه الممتاز في المدينة نقطة انطلاق جيدة لاستكشاف أفضل ما فيها من معالم ومناطق نابضة بالحياة. يقع مركز المدينة على بعد 4 Km فقط. ويمكن الوصول إلى المطار خلال 45 دقيقة. كما يمكن الوصول بسهولة إلى عدة معالم سياحية قريبة. 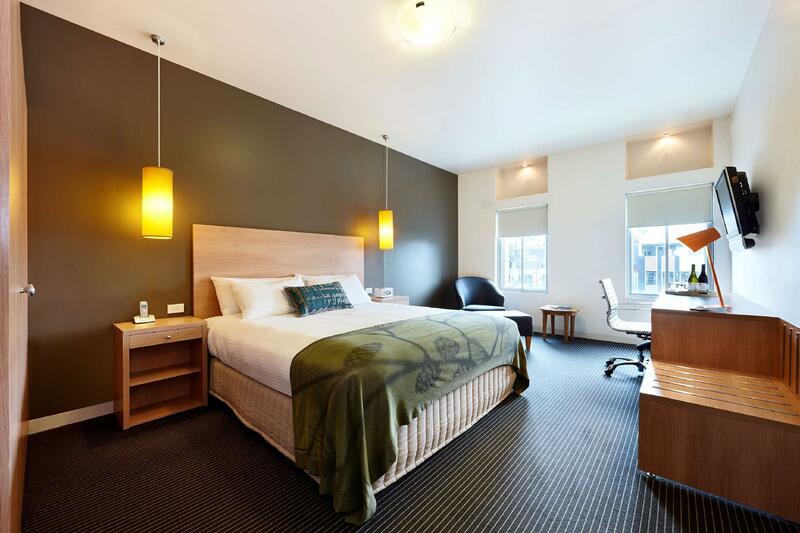 يقدم Rydges St Kilda خدمات لا غبار عليها وكل أشكال اللياقة وحسن الضيافة اللازمة لإسعاد ضيوفه. تتضمن الميزات الرئيسية في هذا الفندق: واي فاي مجاني في جميع الغرف, خدمة التنظيف يوميًا, خدمة سيارات الأجرة, مجهز لذوي الإحتياجات الخاصة, مكتب الاستقبال على مدار الساعة. تعكس غرف الفندق البالغ عددها 80 المنتشرة في 4 طوابق جواً من الدفء والألفة.خدمات عصرية مثل تلفزيون بشاشة مسطحة, سجاد, قهوة فورية مجانية, شاي مجاني, بياضات موجودة في بعض الغرف المختارة. يقدم الفندق خدمات رائعة كمثل مركز للياقة البدنية, مسار جولف - ضمن 3 كم, حديقة لمساعدتك على الاسترخاء بعد نهار طويل من النشاط والتجوال في المدينة. إن Rydges St Kilda هو خيار ذكي بالنسبة للمسافرين، فهو يوفر إقامة هادئة ومناسبة للاسترخاء. Reasonable price, great location, particularly for our event. The location of this hotel is excellent, the parking good value and the room of a very good standard. This is now our 'go to place' if we are staying in St Kilda to catch up with our friends who live locally. 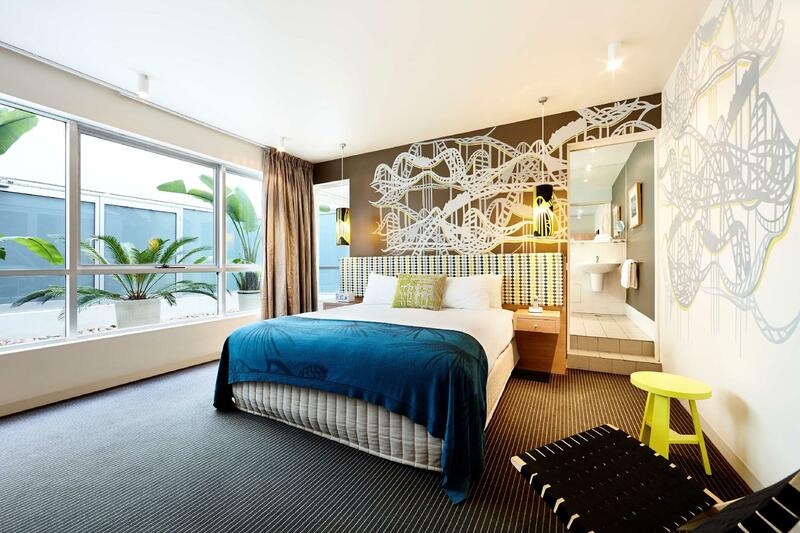 Great position straight onto Fitzroy Street and a two minute tram ride to Ackland Street. Definitely recommend it! The saying, 'You get what you paid for,' applies in this instance. There is a gym upstairs and a deck outside it, but we didn't use the facilities. On the first floor, looking out the window all you can see is the adjoining building. The room is a reasonable size and the bed was king sized. It's the proximity to everything that make this place stand out. There is a great bar/eatery on the ground floor and in the morning the cafe opposite is very reasonably priced. It's compact but clean. Staff are accommodating. I forgot something in the room after checking out and when I came back someone in the reception went up and got it for me. There were wine glasses in the room. Free wifi but a limited range of TV viewing. It really did suit us for an overnight stay. 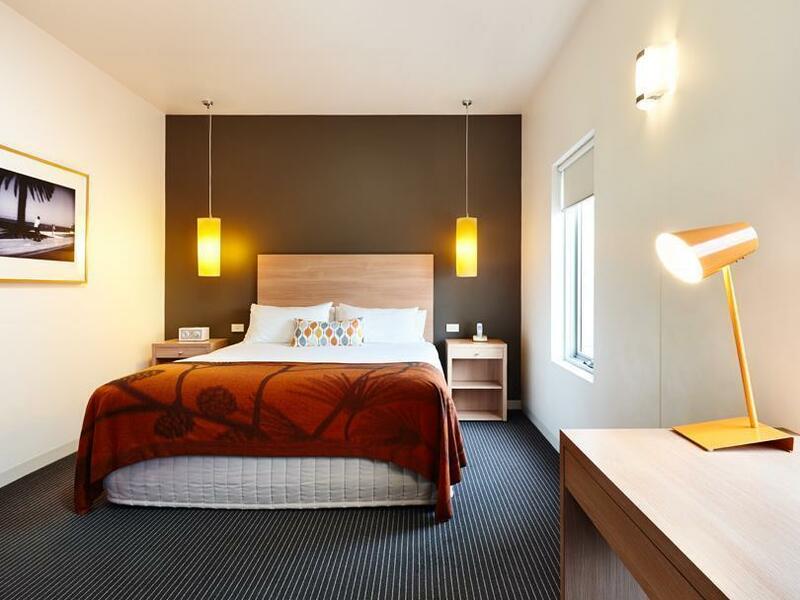 Redges Hotel very nice and clean comfortable and great location and walk very near Trams. Great location for St Kilda and the Pilais Theatre. Fitzroy Street is eclectic and Rydges is close to a couple of amazing bars and just around the corner in Acland street was the most delicious Chinese Restaurant owned by the Lau Family. The bar that served the best cocktails in Melbourne was just next door and behind a facade that gave the impression of a construction site but when you ventured in behind this wall you enter a cellar of the best presence and service...a most at St Kilda. The Rydges cafe had great coffee and service. The staff were friendly and accommodating. We could not fault this facility and will return again. The hotel itself was what you would expect from a Rydges so no surprises there. What did surprise me was the $30/night parking which was a necessity in this area given the amount of crazies getting about outside. A little transparency here would have given us the option to compare prices more accurately. Rooms were great accept for the noise of anyone in the hallway echoing throughout the building. Room was a great size for the price - cannot beat the location! Security could be better - my partner needed a key for our room & wasn't even asked for ID - they just recoded him a key to the room number he said - it wasn't the same person that checked us in. Otherwise everything was fantastic! Not a bad stay, though quite a bit of noise - some from the bar/restaurant next door, and some through the paper thin walls when the people in the room next to ours got in at 5am. I think maybe they were also smoking in their room, though this is not the hotel's fault, and a reminder was placed under the door of our room as a reminder that it is a non-smoking hotel. All-in-all, for one night, it's not a bad choice, I'd probably stay there again. I did assume that a twin share room would be two double+ beds, rather than singles, but this may well have been my own mistake! 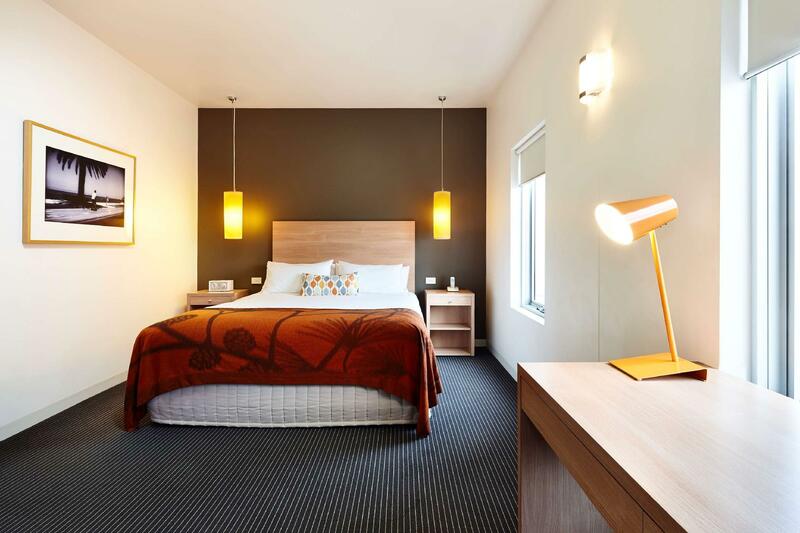 Location, Staff and room quality are all a high standard. Location, Staff and room quality are all a high standard. 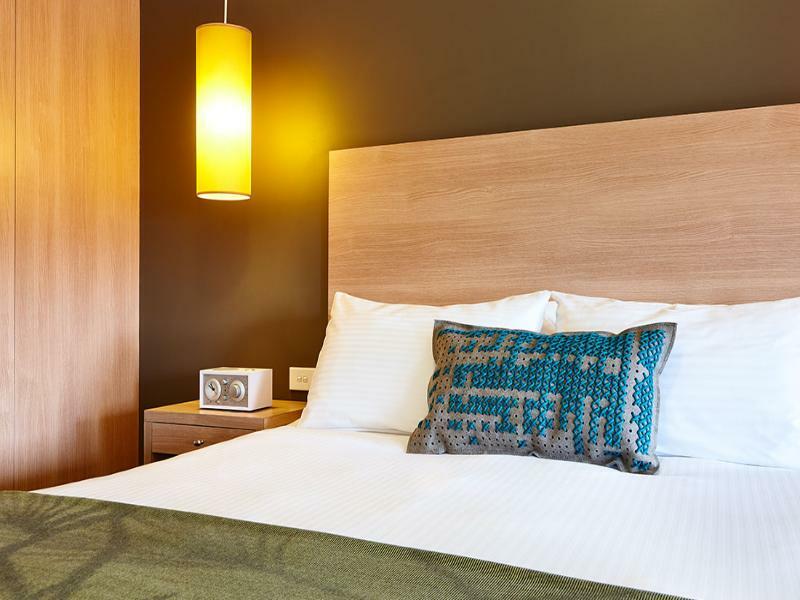 The Urban Group of Hotels seems to focus on those items that make a guest feel comfortable both in the hotel and in the area around the hotel. Value for money, clean and new rooms. I travelled and moved to this hotel from Punt Hill Hotel. Urban St Kilda provided a good respite. Excellent value for money and great staff members. I think there is room for improvement with the food served in the cafe. Overall I would choose this place. Room was nice. There was construction going on which was a bit disruptive in the morning. Nice modern funly design, clean and relatively spacious. 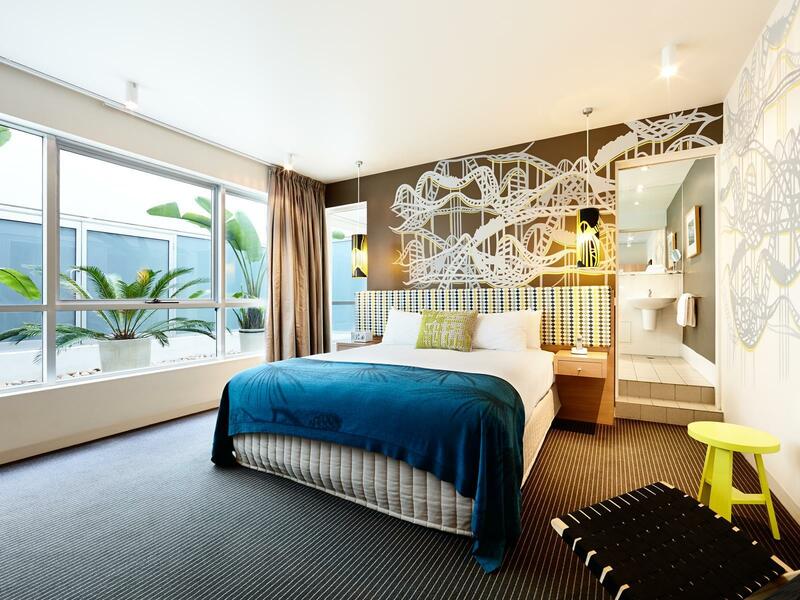 Hotel looks new with very nice new funcky design. Check in was easy and friendly. Room was reasonably spacious, clean wt nice design. Location was strategic to enjoy the entertainment scene. Great spot for a couple of days either as a business stop over or a Melbourne holiday spot. Clean place, nice breakfast and convenient location. 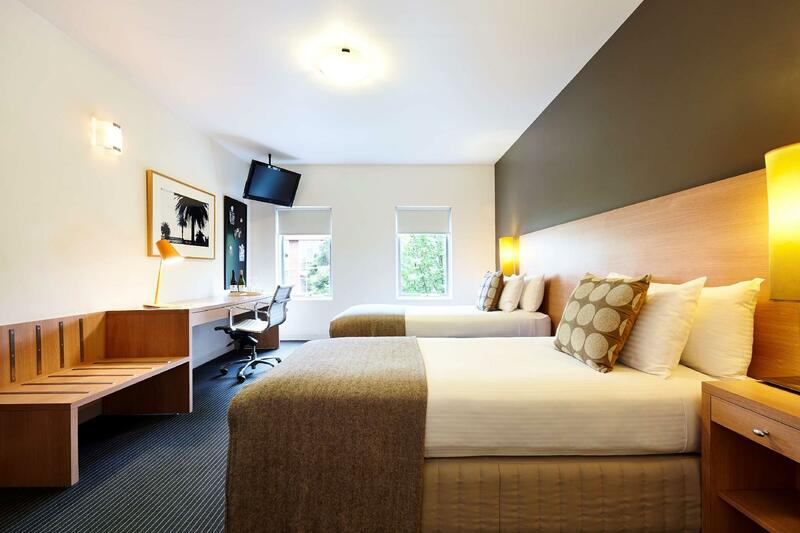 Comfortable and spacious room, nice staff, 5-10 minutes walk to St kilda beach and luna park, a handful of restaurants downstairs. We've enjoyed a great time here!